Many World Cups have passed and they just seem to fly by ever so quickly. There is so much football played, that though we have watched a lot of it, whether it has been seeing the game live or watching highlights, it can really scramble the brain to pinpoint everything that has happened. I therefore had an idea to keep a diary/log from day to day, something that can be just as useful in many years as it is now, in regard to jogging the memory. So here I present the World Cup diary, there will be two parts, starting here with the group stage and then the second part will be the knockout phase. Group B, kicked off with Morocco against Iran. Iran only conceded one goal in World Cup qualification, so a tight affair was expected. The game looked destined for a goalless draw when Aziz Bouhaddouz headed a cross into his own goal in the fifth minute of injury time to give Iran a 1-0 victory. The first of four matches saw Group C begin with France beating Australia 2-1. A timid first half was followed by an incident packed second. Australia’s Trent Sainsbury looked like he had made a good challenge on France’s Antoine Griezmann, VAR (Video Assistant Referee) asked the referee to review it, and a penalty was awarded as Sainsbury’s follow through meant he fouled Griezmann. Griezmann scored the penalty, only for Australia to be awarded a free kick a few minutes later. Samuel Umtiti handled the ball wildly and Mile Jedinak levelled from the spot. Manchester United’s Paul Pogba won the game for France with a deflected shot late on that just about crossed the line. The first look at Group D, saw Argentina draw 1-1 with Iceland in a good game. Manchester City’s striker Sergio Aguero fired a superb opener with a sharp turn and finish on his left foot. Iceland equalised literally straightaway however. 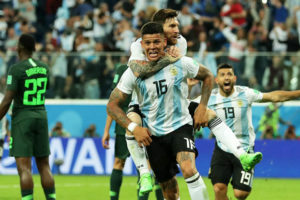 Argentina bemoaned Lionel Messi messing up a second half penalty; Hannes Halldorsson in the Iceland goal making an inspired save. England squeezed pace Tunisia in their opening Group G match. Tottenham’s Harry Kane was at the double. The second right at the death as he stole away to score a good header after a flick on from a corner. The result on paper should have been a formality; but how often have we seen England mess these kind of games up? So this result was of great significance. Had Manchester United’ds Jesse Lingard been at the races, then this game could have been over in the first half. Tunisia responded very well in the second half, and England really did breathe a huge sigh of relief in the end. 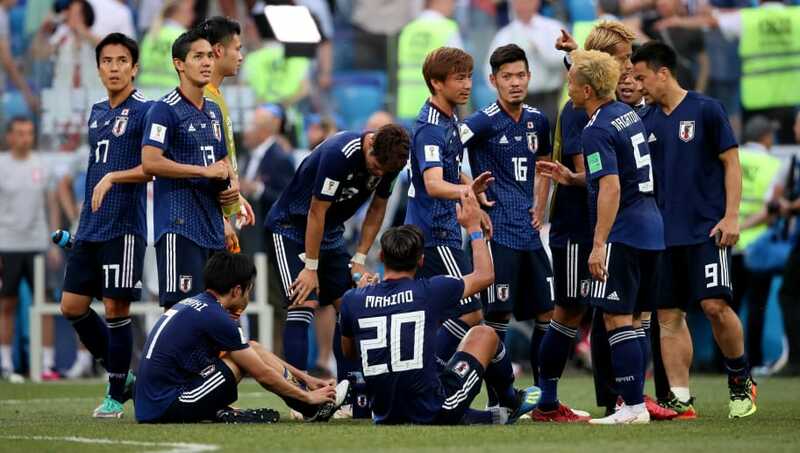 Group H, began with Japan clearly not intent on following the script as they beat the favourites to top the group Colombia 2-1. Colombia had to play over 85 minutes with ten men after the referee was not impressed with midfielder Carlos Sanchez’ goalkeeper impression. Former Manchester United man Shinji Kagawa netted the penalty. Juan Quintero pulled Colombia level with a smartly taken free kick going under the wall. Japan claimed victory through frontman Yuya Osako. Osako then produced a huge block to deny Colombia a point. 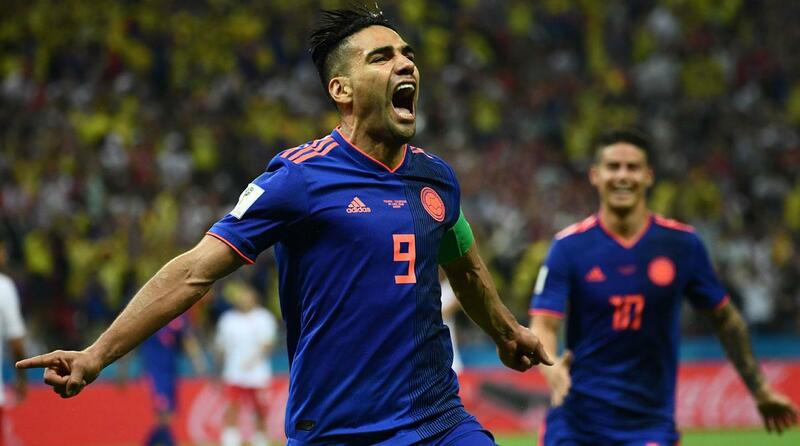 A great effort by Colombia with a man short, but it was not enough. The day started with Portugal just about getting past Morocco in Group B, with a 1-0 win. 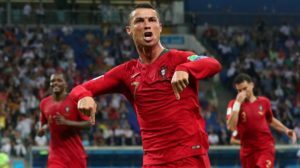 There were no prizes for guessing that Cristiano Ronaldo scored the goal with an early header, almost getting his head kicked off in the process. Portugal keeper Rui Patricio made one of the saves of the tournament to deny a Younes Belhanda header diving low to his right. Moroccan centre half Mehdi Benatia hit a few decent chances over also, denying Morocco what would have been a deserved point. The day started with England thumping Panama 6-1 in Group G. John Stones bagged two and Harry Kane got a hat-trick including two penalties. Kane’s third goal was from a shot by Ruben Loftus-Cheek that hit him when he did not know anything about it, let us be real we have seen him claim goals when the ball did not touch him, so this was always his goal. The pick of England’s goals was a curling effort from Jesse Lingard, redeeming himself after his misses against Tunisia.